The holy Spirit in the New Testament is a translation of hagios pneuma (Strong’s 40 and 4151, respectively), and He is sent to us by the Father and the son, to be our Helper and to reprove the world of sin. He dwells in the hearts of christians, and he is also big help for us to live holy lives and gives us wisdom and strength. He helps us to understand the scriptures and the deeper things of God, and also gives us spiritual gifts so that we can edify each other in the body of Christ. The holy Spirit is described as someone who has emotions, wisdom and who has a will of his own which he uses to do the will of God the Father. He is referred to as ”he” (and not ”it”), he can hear and speak and he has fellowship with us. The Bible came about when holy men of God wrote down their texts under the inspiration of the holy Spirit. 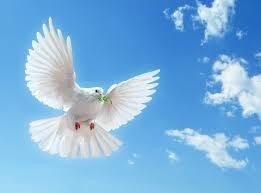 We receive the holy Spirit when we come to God and repent for our sins. Acts. 2:38 Then Peter said unto them, Repent, and be baptized every one of you in the name of Jesus Christ for the remission of sins, and ye shall receive the gift of the Holy Ghost.39 For the promise is unto you, and to your children, and to all that are afar off, even as many as the Lord our God shall call. It’s not necessary to declare that we believe in a Trinity in order to be saved because it’s not a Biblical word, but it seems to be of great importance to at least accept that Jesus is the IAM (the Creator God) based on John 8:24. According to the scriptures, we also learn that the spirit of God is divine, and I personally believe that we are risking our souls if we deny this fact – IF we have the chance to reach this kind of knowledge. This means that children or people who don’t have much access to a Bible, might not be able to understand all the details about the Godhead, and I believe that God will judge them accordingly. In a similar way it’s not necessary to understand how a car engine works in order to drive a car, but of course it’s of great help to know the basics so that we know how to maintain the engine the best way, and so that we learn the signs of malfunctions. There is a theory, with support from the apocrypha,that suggests that demons/evil spirits have their original source in the fallen angels that we can read about in Genesis (the sons of God), who came down to earth and had children – the gigantic nephilim – together with human females. These fallen angels finally died, but the evil spirits continued to cause mayhem when they entered willing human hearts. If this is true, and if the holy Spirit functions in a similar way – but naturally having a source in God – it might explain why Jesus had to be glorified and depart from earth before the holy Spirit could make an entrance in another form than Jesus. If demons/evil spirits can be called Satan because of their source in him, then maybe the holy Spirit can be called God because he is God and has his source in the Godhead. These are of course only speculations about the spiritual world, and it’s not a salvation matter – as long as we understand which God we are worshiping. John 16:5 But now I go my way to him that sent me; and none of you asketh me, Whither goest thou?6 But because I have said these things unto you, sorrow hath filled your heart.7 Nevertheless I tell you the truth; It is expedient for you that I go away: for if I go not away, the Comforter will not come unto you; but if I depart, I will send him unto you.8 And when he is come, he will reprove the world of sin, and of righteousness, and of judgment:9 Of sin, because they believe not on me;10 Of righteousness, because I go to my Father, and ye see me no more;11 Of judgment, because the prince of this world is judged.12 I have yet many things to say unto you, but ye cannot bear them now.13 Howbeit when he, the Spirit of truth, is come, he will guide you into all truth: for he shall not speak of himself; but whatsoever he shall hear, that shall he speak: and he will shew you things to come.14 He shall glorify me: for he shall receive of mine, and shall shew it unto you.15 All things that the Father hath are mine: therefore said I, that he shall take of mine, and shall shew it unto you. Acts 1: 1 The former treatise have I made, O Theophilus, of all that Jesus began both to do and teach,2 Until the day in which he was taken up, after that he through the Holy Ghost had given commandments unto the apostles whom he had chosen:3 To whom also he shewed himself alive after his passion by many infallible proofs, being seen of them forty days, and speaking of the things pertaining to the kingdom of God:4 And, being assembled together with them, commanded them that they should not depart from Jerusalem, but wait for the promise of the Father, which, saith he, ye have heard of me.5 For John truly baptized with water; but ye shall be baptized with the Holy Ghost not many days hence.—8 But ye shall receive power, after that the Holy Ghost is come upon you: and ye shall be witnesses unto me both in Jerusalem, and in all Judaea, and in Samaria, and unto the uttermost part of the earth. Gen 1:1 In the beginning God created the heaven and the earth.2 And the earth was without form, and void; and darkness was upon the face of the deep. And the Spirit of God moved upon the face of the waters. Phil. 2:1 If there be therefore any consolation in Christ, if any comfort of love, if any fellowship of the Spirit, if any bowels and mercies, 2 Fulfil ye my joy, that ye be likeminded, having the same love, being of one accord, of one mind. Luk. 12:10 And whosoever shall speak a word against the Son of man, it shall be forgiven him: but unto him that blasphemeth against the Holy Ghost it shall not be forgiven. Mark 3:28 Verily I say unto you, All sins shall be forgiven unto the sons of men, and blasphemies wherewith soever they shall blaspheme:29 But he that shall blaspheme against the Holy Ghost hath never forgiveness, but is in danger of eternal damnation. Eph. 4:29 Let no corrupt communication proceed out of your mouth, but that which is good to the use of edifying, that it may minister grace unto the hearers.30 And grieve not the holy Spirit of God, whereby ye are sealed unto the day of redemption. Mark 1:9 And it came to pass in those days, that Jesus came from Nazareth of Galilee, and was baptized of John in Jordan.10 And straightway coming up out of the water, he saw the heavens opened, and the Spirit like a dove descending upon him:11 And there came a voice from heaven, saying, Thou art my beloved Son, in whom I am well pleased.12 And immediately the spirit driveth him into the wilderness. Rom. 8:26 Likewise the Spirit also helpeth our infirmities: for we know not what we should pray for as we ought: but the Spirit itself maketh intercession for us with groanings which cannot be uttered.27 And he that searcheth the hearts knoweth what is the mind of the Spirit, because he maketh intercession for the saints according to the will of God. 1 Cor. 2:8 Which none of the princes of this world knew: for had they known it, they would not have crucified the Lord of glory.9 But as it is written, Eye hath not seen, nor ear heard, neither have entered into the heart of man, the things which God hath prepared for them that love him.10 But God hath revealed them unto us by his Spirit: for the Spirit searcheth all things, yea, the deep things of God.11 For what man knoweth the things of a man, save the spirit of man which is in him? even so the things of God knoweth no man, but the Spirit of God.12 Now we have received, not the spirit of the world, but the spirit which is of God; that we might know the things that are freely given to us of God.13 Which things also we speak, not in the words which man’s wisdom teacheth, but which the Holy Ghost teacheth; comparing spiritual things with spiritual.14 But the natural man receiveth not the things of the Spirit of God: for they are foolishness unto him: neither can he know them, because they are spiritually discerned. 2 Cor. 3:17 Now the Lord is that Spirit: and where the Spirit of the Lord is, there is liberty.18 But we all, with open face beholding as in a glass the glory of the Lord, are changed into the same image from glory to glory, even as by the Spirit of the Lord. Acts 2:3 And there appeared unto them cloven tongues like as of fire, and it sat upon each of them.4 And they were all filled with the Holy Ghost, and began to speak with other tongues, as the Spirit gave them utterance. 1 Cor. 12:3 Wherefore I give you to understand, that no man speaking by the Spirit of God calleth Jesus accursed: and that no man can say that Jesus is the Lord, but by the Holy Ghost.4 Now there are diversities of gifts, but the same Spirit.5 And there are differences of administrations, but the same Lord.6 And there are diversities of operations, but it is the same God which worketh all in all.7 But the manifestation of the Spirit is given to every man to profit withal.8 For to one is given by the Spirit the word of wisdom; to another the word of knowledge by the same Spirit;9 To another faith by the same Spirit; to another the gifts of healing by the same Spirit;10 To another the working of miracles; to another prophecy; to another discerning of spirits; to another divers kinds of tongues; to another the interpretation of tongues:11 But all these worketh that one and the selfsame Spirit, dividing to every man severally as he will.12 For as the body is one, and hath many members, and all the members of that one body, being many, are one body: so also is Christ.13 For by one Spirit are we all baptized into one body, whether we be Jews or Gentiles, whether we be bond or free; and have been all made to drink into one Spirit.14 For the body is not one member, but many. Acts 5:3 But Peter said, Ananias, why hath Satan filled thine heart to lie to the Holy Ghost, and to keep back part of the price of the land?4 Whiles it remained, was it not thine own? and after it was sold, was it not in thine own power? why hast thou conceived this thing in thine heart? thou hast not lied unto men, but unto GOD.—9 Then Peter said unto her, How is it that ye have agreed together to tempt the Spirit of the Lord? behold, the feet of them which have buried thy husband are at the door, and shall carry thee out. We have a free will and we are not forced to obey the holy Spirit, but the better choice is to not resist him and to pay attention to where and how he wants to direct us. This is hard to do if we don’t spend time with prayers to God. Apparently, we are to baptize each other in three names (not one or two), and what would be the reason for this if there is only one person in the Godhead? 1 John 5:6 This is he that came by water and blood, even Jesus Christ; not by water only, but by water and blood. And it is the Spirit that beareth witness, because the Spirit is truth.7 For there are three that bear record in heaven, the Father, the Word, and the Holy Ghost: and these three are one.8 And there are three that bear witness in earth, the Spirit, and the water, and the blood: and these three agree in one. Col. 2:8 Beware lest any man spoil you through philosophy and vain deceit, after the tradition of men, after the rudiments of the world, and not after Christ.9 For in him dwelleth all the fulness of the GODHEAD bodily. Below we can see the same situation in three different versions from Mark, Matthew and Luke, and it will be the following person who will speak through us in times of distress and trouble in the future – depending on which version we are referring to: 1) the holy Spirit/Ghost, 2) the spirit of the Father, 3) JESUS. So which one is it? Since it concerns the same account, it seems like these persons can be used somewhat interchangeably because they each represent the Godhead. Markus 13:11 But when they shall lead you, and deliver you up, take no thought beforehand what ye shall speak, neither do ye premeditate: but whatsoever shall be given you in that hour, that speak ye: for it is not ye that speak, but THE HOLY GHOST. Matt. 10:19 But when they deliver you up, take no thought how or what ye shall speak: for it shall be given you in that same hour what ye shall speak.20 For it is not ye that speak, but THE SPIRIT OF YOUR FATHER which speaketh in you. Lukas 21:14 Settle it therefore in your hearts, not to meditate before what ye shall answer:15 For I WILL give you a mouth and wisdom, which all your adversaries shall not be able to gainsay nor resist. The holy Spirit, the Spirit of God or the Spirit of Christ? – How many divine Spirits are there? Since each person has a spirit and Jesus Christ lived as a man like us, it follows that he too had a spirit, but it doesn’t end there. The Bible tells us that the Spirit of Christ is what we should have inside us today, or else we are not one of his. Things can go well for us thanks to prayers and the supply of the Spirit of Christ. Jesus says ” I will not leave you comfortless: I will come to you”, to his disciples, when he promises them the Comforter. 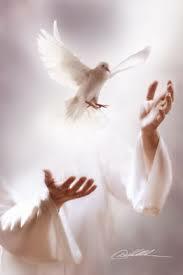 It seems like the Comforter that dwells in us, can be stated as the holy Spirit, God or Jesus Christ. According to John 14:23, we are to keep the word of Jesus and if we do, the Father and the son will come to us and make their abode with us. If we get filled with the holy Spirit, we are being filled with GOD. 1 Cor. 6:19 What? know ye not that your body is the temple of the Holy Ghost which is in you, which ye have of God, and ye are not your own?20 For ye are bought with a price: therefore glorify God in your body, and in your spirit, which are God’s. Rom. 8:9 But ye are not in the flesh, but in the Spirit, if so be that the Spirit of God dwell in you. Now if any man have not the Spirit of Christ, he is none of his.10 And if Christ be in you, the body is dead because of sin; but the Spirit is life because of righteousness.11 But if the Spirit of him that raised up Jesus from the dead dwell in you, he that raised up Christ from the dead shall also quicken your mortal bodies by his Spirit that dwelleth in you. Phil. 1:19 For I know that this shall turn to my salvation through your prayer, and the supply of the Spirit of Jesus Christ,20 According to my earnest expectation and my hope, that in nothing I shall be ashamed, but that with all boldness, as always, so now also Christ shall be magnified in my body, whether it be by life, or by death. 2 Cor. 3:3 Forasmuch as ye are manifestly declared to be the epistle of Christ ministered by us, written not with ink, but with the Spirit of the living God; not in tables of stone, but in fleshy tables of the heart. 2 Cor. 3:15 But even unto this day, when Moses is read, the vail is upon their heart.16 Nevertheless when it shall turn to the Lord, the vail shall be taken away.17 Now THE LORD IS THAT SPIRIT: and where the Spirit of the Lord is, there is liberty.18 But we all, with open face beholding as in a glass the glory of the Lord, are changed into the same image from glory to glory, even as by the Spirit of the Lord. 1 Pet. 1:10 Of which salvation the prophets have enquired and searched diligently, who prophesied of the grace that should come unto you:11 Searching what, or what manner of time the Spirit of Christ (pneuma Christos) which was in them did signify, when it testified beforehand the sufferings of Christ, and the glory that should follow.12 Unto whom it was revealed, that not unto themselves, but unto us they did minister the things, which are now reported unto you by them that have preached the gospel unto you with the Holy Ghost (hagios pneuma) sent down from heaven; which things the angels desire to look into. 1 Pet. 4:14 If ye be reproached for the name of Christ, happy are ye; for the spirit of glory and of God resteth upon you: on their part he is evil spoken of, but on your part he is glorified. 1 John 4:2 Hereby know ye the Spirit of God: Every spirit that confesseth that Jesus Christ is come in the flesh is of God:3 And every spirit that confesseth not that Jesus Christ is come in the flesh is not of God: and this is that spirit of antichrist, whereof ye have heard that it should come; and even now already is it in the world. 1 Cor.3:16 Know ye not that ye are the temple of God, and that the Spirit of God DWELLETH in you? 2 Tim. 1:14 That good thing which was committed unto thee keep by the Holy Ghost (hagios pneuma) which DWELLETH in us. John 14:13 And whatsoever ye shall ask in my name, that will I do, that the Father may be glorified in the Son.14 If ye shall ask any thing in my name, I will do it.15 If ye love me, keep my commandments.16 And I will pray the Father, and he shall give you another Comforter, that he may abide with you for ever;17 Even the Spirit of truth; whom the world cannot receive, because it seeth him not, neither knoweth him: but ye know him; for he DWELLETH with you, and shall be in you.18 I will not leave you comfortless: I will come to you.19 Yet a little while, and the world seeth me no more; but ye see me: because I live, ye shall live also.— 23 Jesus answered and said unto him, If a man love me, he will keep my words: and my Father will love him, and we will come unto him, and make our abode with him. 1 John 4:12 No man hath seen God at any time. If we love one another, God DWELLETH in us, and his love is perfected in us.13 Hereby know we that we dwell in him, and he in us, because he hath given us of his Spirit. Eph. 3:14 For this cause I bow my knees unto the Father of our Lord Jesus Christ,—16 That he would grant you, according to the riches of his glory, to be strengthened with might by his Spirit in the inner man;17 THAT CHRIST MAY DWELL in your hearts by faith; that ye, being rooted and grounded in love,18 May be able to comprehend with all saints what is the breadth, and length, and depth, and height;19 And to know the love of Christ, which passeth knowledge, that ye might be filled with all the fulness of God.20 Now unto him that is able to do exceeding abundantly above all that we ask or think, according to the power that worketh in us,21 Unto him be glory in the church by Christ Jesus throughout all ages, world without end. Amen. 1 Cor. 10:4 And did all drink the same spiritual drink: for they drank of that spiritual Rock that followed them: and that Rock was Christ. Is the HOLY SPIRIT also GOD? 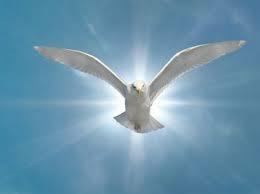 The Holy Spirit is sent by the Father and the Son to work in our hearts, and to reprove the world of sin. He fills the christian hearts with his presence, and he is a big aid for us to live holy lives and to enable us to be good disciples who spread the true word of God to others. The Holy Spirit helps us to understand the scriptures and the deep things of God, and he also gives us spiritual gifts so that we can build up ourselves and others in the body of Christ. The Holy Spirit is described as a person who has a will, who hears, speaks, has feelings, wisdom, and who has a relationship with us. The Bible came about thanks to holy men of God who wrote down the message of God through inspiration of the Holy Spirit. If the Holy Spirit is exactly synonymous with either God/the Father/Jesus Christ, then we must ask ourselves why those names are not used instead? The Holy Spirit seems to be different from the Father and Jesus Christ, but also the same as though share the same source. Only the trinity could solve something like this, because if 1) God the Father, 2) God the son and 3) God the Holy Spirit, are different persons in the same godhead (and there is only one God), then it all makes sense. We could also visualize that only the Father and Jesus Christ are in the godhead, with the Holy Spirit as another manifestation of them, which boils down to the almost the same thing. When the Holy Spirit is operating on earth, then it’s God operating. It might feel like a burden to understand exactly how the persons in the godhead work in their divine state and in the trinity, but we don’t have to understand exactly how they interact with each other in order to be saved. We only have to accept that these persons/manifestations are in our only God and that they are each called God – 1 pile of sand can be divided into 3 piles of sand, and back again. God can be in several different locations at the same time, and the Holy Spirit can be in each of us christians at the same time. Neither do we have to understand exactly how a car engine works in order to drive, even if it’s for our benefit if we have some knowledge about it – like; where it’s placed, what the purpose is, how to make maintenance, what the indications are that something is wrong, etc. At least we know that the inventor/manufacturer knows how it works, and he knows it in great detail and has it all under control. There is a theory put forth in some of the apocrypha/lost books which suggests that demons/evil spirits have a source in the fallen angels that we can read about in Genesis (the sons of God), och who came down to earth to produce gigantic babies (nephilim) together with certain females. When the fallen angels eventually died, they are said to have left evil spirits of themselves which could trouble human beings – which we have some examples of in the Bible. If this is true, and if the Holy Spirit works in a similar way (naturally with a source in God), then this could explain why Jesus had to be glorified and leave the earth before the Holy Spirit could make an entrance and fill our hearts. If demons/evil spirits can be called Satan (precisely for being manifestations of Satan), the Holy Spirit could be called God for the same reason – because he is a manifestation of God. This, however, is only speculation about the invisible and spiritual world, and it’s not something that is essential for our salvation to know about – as long as we worship the only true God. It’s for instance utterly important to accept that Jesus is the IAM, and the word that was with God and who was GOD and lived among us in flesh. Read more about the trinity here. John 16:5 But now I go my way to him that sent me; and none of you asketh me, Whither goest thou?6 But because I have said these things unto you, sorrow hath filled your heart.7 Nevertheless I tell you the truth; It is expedient for you that I go away: for IF I GO NOT AWAY; THE COMFORTER WILL NOT COME UNTO YOU; but if I depart, I will send him unto you.8 And when he is come, he will reprove the world of sin, and of righteousness, and of judgment:9 Of sin, because they believe not on me;10 Of righteousness, because I go to my Father, and ye see me no more;11 Of judgment, because the prince of this world is judged.12 I have yet many things to say unto you, but ye cannot bear them now.13 Howbeit when he, the Spirit of truth, is come, he will guide you into all truth: for he shall not speak of himself; but whatsoever he shall hear, that shall he speak: and he will shew you things to come.14 He shall glorify me: for he shall receive of mine, and shall shew it unto you.15 All things that the Father hath are mine: therefore said I, that he shall take of mine, and shall shew it unto you. Apg. 1: 1 The former treatise have I made, O Theophilus, of all that Jesus began both to do and teach,2 Until the day in which he was taken up, after that he through the Holy Ghost had given commandments unto the apostles whom he had chosen:3 To whom also he shewed himself alive after his passion by many infallible proofs, being seen of them forty days, and speaking of the things pertaining to the kingdom of God:4 And, being assembled together with them, commanded them that they should not depart from Jerusalem, but wait for the promise of the Father, which, saith he, ye have heard of me.5 For John truly baptized with water; but ye shall be baptized with the Holy Ghost not many days hence.—8 But ye shall receive power, after that the Holy Ghost is come upon you: and ye shall be witnesses unto me both in Jerusalem, and in all Judaea, and in Samaria, and unto the uttermost part of the earth. Gen. 1:1 In the beginning God created the heaven and the earth.2 And the earth was without form, and void; and darkness was upon the face of the deep. And the Spirit of God moved upon the face of the waters. If the Holy Spirit is only some kind of ”force” or ”power” and not God itself, then it’s odd that the Holy Spirit can be more offended if someone offends it, than Jesus Christ if someone offends him, considering that Jesus is a real person. So here, again, we can see that there is a difference between Jesus Christ and the Holy Spirit, because the punishment differs if someone blasphemes them. 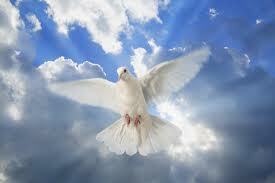 Moreover, we can grieve the Holy Spirit, which shows he has emotions. Matt. 12:31 Wherefore I say unto you, All manner of sin and blasphemy shall be forgiven unto men: but the blasphemy against the Holy Ghost shall not be forgiven unto men.32 And whosoever speaketh a word against the Son of man, it shall be forgiven him: but whosoever speaketh against the Holy Ghost, it shall not be forgiven him, neither in this world, neither in the world to come. Mark 1:9 And it came to pass in those days, that Jesus came from Nazareth of Galilee, and was baptized of John in Jordan.10 And straightway coming up out of the water, he saw the heavens opened, and the Spirit like a dove descending upon him:11 And there came a voice from heaven, saying, Thou art my beloved Son, in whom I am well pleased. 1 Cor. 6:19 What? know ye not that your body is the temple of the Holy Ghost which is in you, which ye have of God, and ye are not your own? 1 Cor. 2:8 Which none of the princes of this world knew: for had they known it, they would not have crucified the Lord of glory.9 But as it is written, Eye hath not seen, nor ear heard, neither have entered into the heart of man, the things which God hath prepared for them that love him.10 But God hath revealed them unto us by his Spirit: for the Spirit searcheth all things, yea, the deep things of God.11 For what man knoweth the things of a man, save the spirit of man which is in him? even so the things of God knoweth no man, but the Spirit of God.12 Now we have received, not the spirit of the world, but the spirit which is of God; that we might know the things that are freely given to us of God.13 Which things also we speak, not in the words which man’s wisdom teacheth, but which the Holy Ghost teacheth; comparing spiritual things with spiritual.14 But the natural man receiveth not the things of the Spirit of God: for they are foolishness unto him: neither can he know them, because they are spiritually discerned.15 But he that is spiritual judgeth all things, yet he himself is judged of no man.16 For who hath known the mind of the Lord, that he may instruct him? but we have the mind of Christ. The Lord is Spirit, says Paul, and the Lord could be God the Father or Jesus. They are both called Lord of Lords. It appears there are three Lords in the godhead, and of course that’s quite possible. The Holy Spirit is the one to give us gifts of the Spirit, and who make it possible for us to speak with different tongues and to prophesy. The gifts are given as ”he will”, showing again that he has a will. If the Holy Spirit is synonymous with God (and not one of three persons in God), then why didn’t Paul simply say that GOD gives us these gifts? Just to confuse us? ”The same Spirit...”, ”the same Lord…”and ”the same God”. Sounds like they are different again, but yet the same. 1 Cor. 12:3 Wherefore I give you to understand, that no man speaking by the Spirit of God calleth Jesus accursed: and that no man can say that Jesus is the Lord, but by the Holy Ghost.4 Now there are diversities of gifts, but the same Spirit.5 And there are differences of administrations, but the same Lord.6 And there are diversities of operations, but it is the same God which worketh all in all.7 But the manifestation of the Spirit is given to every man to profit withal.8 For to one is given by the Spirit the word of wisdom; to another the word of knowledge by the same Spirit;9 To another faith by the same Spirit; to another the gifts of healing by the same Spirit;10 To another the working of miracles; to another prophecy; to another discerning of spirits; to another divers kinds of tongues; to another the interpretation of tongues:11 But all these worketh that one and the selfsame Spirit, dividing to every man severally as he will.12 For as the body is one, and hath many members, and all the members of that one body, being many, are one body: so also is Christ.13 For by one Spirit are we all baptized into one body, whether we be Jews or Gentiles, whether we be bond or free; and have been all made to drink into one Spirit. Apg. 5:3 But Peter said, Ananias, why hath Satan filled thine heart to lie to the Holy Ghost, and to keep back part of the price of the land?4 Whiles it remained, was it not thine own? and after it was sold, was it not in thine own power? why hast thou conceived this thing in thine heart? thou hast not lied unto men, but unto God.—9 Then Peter said unto her, How is it that ye have agreed together to tempt the Spirit of the Lord? behold, the feet of them which have buried thy husband are at the door, and shall carry thee out. The Holy Spirit can speak and give instructions. We have a free will and we are not forced to obey the Holy Spirit, but if we are attentive for how the Holy Spirit wants to guide us, we can say that he encourages us and hinders us from doing certain things. Then the starting point is that we have made a decision to adhere to the Holy Spirit instead of our flesh. The Holy Spirit can ”forbid” us to do something, but we must decide whether to obey or disobey. Below we can see that 1) the holy Ghost 2) the spirit of the FATHER, 3) JESUS, who will be speaking through us in times of trouble and persecution. So which one is it? Or is it all three as in the trinity? Luke 21:14 Settle it therefore in your hearts, not to meditate before what ye shall answer:15 For I WILL GIVE YOU A MOUTH and wisdom, which all your adversaries shall not be able to gainsay nor resist. 2 Cor. 3:16 Nevertheless when it shall turn to the Lord, the vail shall be taken away.17 Now THE LORD IS THAT SPIRIT and where the Spirit of the Lord is, there is liberty.18 But we all, with open face beholding as in a glass the glory of the Lord, are changed into the same image from glory to glory, even as by the Spirit of the Lord. We are apparently told to baptize in three names, and what is the reason for this if God is one and the same and with no distinct persons in the godhead? Below I use the word ”cessationist” (a person who believes speaking in tongues is not for today but a gift that has ceased) but I could address anyone who is skeptic about tongues and especially those who have produced ”anti-tongue material” – like uploaded video clips on youtube. Sometimes I wonder if cessationists feel that if they can’t pray by the Spirit’s power, they assume that no one else can either and they therefore prefer to read the Bible accordingly. I don’t wish to cause bad feelings with what I write, but would like to defend the gift of speaking in tongues, and to make some clarifications concerning some common misunderstandings. Since the Bible says that no one understands a person who speaks in tongues, it means that ”gibberish” fits this description rather well. That people sometimes understand the tongues is likely due to that they are interpreted. 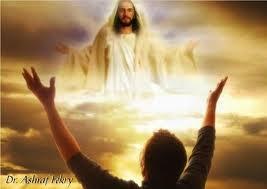 2) Acts 19:5 When they heard this, they were baptized in the name of the Lord Jesus. 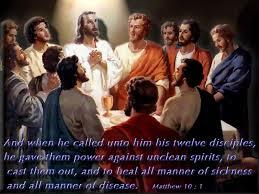 And when Paul had laid his hands upon them, the Holy Ghost came on them; and they spake with tongues, and prophesied. And all the men were about twelve. Paul met some faithful Jews who believed in John’s baptism and when Paul told them of Jesus and laid his hands on them they spoke in tongues. But not to evangelize foreigners but they where simply prophesying (and we have learned that prophesying is mainly for believers). No foreigners were present. When a cessationist says that pentecostals over-emphasize tongues; he is basically saying that Pentecostals over-emphasize prayer and praise. A good church service shouldn’t contain all the important aspects of a church service; teaching, song, praise, edification, etc. 1 Cor. 14:20-22 Brethren, be not children in understanding: howbeit in malice be ye children, but in understanding be men. In the Law it is written, With men of other tongues and other lips will I speak unto this people; and yet for all that will they not hear me, saith the Lord. Wherefore tongues are for a sign, not to them that believe, but to them that believe not: but prophesying serveth not for them that believe not, but for them which believe. The OT quote within 1 Cor 14:20-22 (above) is from Isaiah 28, where God is telling Israel that they have been so wicked that He will allow them to be conquered by Assyria. Therefore cessationists have come to the conclusion that hearing a foreign language is a judgment. However, the judgment against Israel in Isaiah’s day was not a strange tongue but that they would be taken captive. The strange language was not a judgment, but a consequence of the judgment. The consequence of tongues-speaking is that unbelievers (Jew and Gentile) do not understand what is being spoken and therefore to them it is just a ”sign.” The Greek word ”semeion” means a ”sign” as in a ”wonder” or a ”mystery” or ”perplexity.” This same word is used in a similar way in Rev. 12:1, Rev. 12:3 and Rev. 15:1. Paul, wrote 1 Cor 14 to show that tongues without interpretation does not benefit anyone except the speaker; therefore, do not speak tongues loudly in the church service (without interpretation) because for others it is just a mystery/sign. And just as the OT Jews were perplexed by the Assyrian dialect, so they are perplexed today by tongues, and it will not help them. If speaking in tongues has ceased, then people who still speak in tongues would have to be faking them or being possessed by the devil. This would in turn lead to that a sure sign of an unsaved person would be if he spoke in tongues! That is the exact opposite of what Mark 16:17 is saying! It is only during the portion of the church service that is set aside for prophetic speaking that the tongues-speakers should keep silence – if there is no interpreter. However, there are no verses which prohibit quiet tongues-speaking during the prayer/worship portion of the service. If you would normally pray quietly for yourselves in church, perhaps due to a common request from the pastor, then speaking in tongues would be one way to express yourself. There is a chance/risk that a person who sits beside you overhears your mumbling, but this is not against Paul’s teaching. Someone might also overhear another person praying in Spanish who sits beside him, and no one would be offended unless the prayers are inconveniently loud. It’s only when a person requests the attention of others that irritation can be the outcome. If a person stood up in an American church speaking in another language, then that would clearly violate Paul’s instructions, and it’s not hard to figure out why. A person who repeatedly shouts ”Praise the LORD, Halleluyaaaa, Amen”…” etc, and jumps up and down, would equally disturb the church service and contribute to chaos. This could not be filed under ”dangerous” but rather ”silly” and ”annoying”. Paul advised against speaking in tongues publically because no others would be edified, and outsiders would think you’re nuts. Not because it’s ”dangerous”. 1 Cor. 12:11But all these worketh that one and the selfsame Spirit, dividing to every man severally as he will. It’s nothing controversial about the fact that speaking in tongues is a GIFT freely offered by God and something that you can’t earn, because this is generally accepted both inside and outside of the Pentecostal church. Sadly people misunderstand this to mean that we should just forget about this subject altogether since it’s God’s business to intervene in our lives and give us any gift he wants us to have. How is this ”covet earnestly the best gifts” which we are told to do? Although it’s true that we certainly can’t give ourselves any gifts, it doesn’t mean that we shouldn’t approach God and ask for them, and be EAGER to get them. Sometimes we don’t get because we don’t ask (it’s still a free gift), and if we on top of this doubt that we might be the lucky recipients of spiritual gifts, then this might hinder us to get them. It doesn’t matter if God is standing there handing out gifts if we don’t even look for them or stretch out our hands to get them. Luke 11:9 And I say unto you, Ask, and it shall be given you; seek, and ye shall find; knock, and it shall be opened unto you.10 For every one that asketh receiveth; and he that seeketh findeth; and to him that knocketh it shall be opened.—13 If ye then, being evil, know how to give good gifts unto your children: how much more shall your heavenly Father give the Holy Spirit to them that ask him? 1 Cor. 12:8For to one is given by the Spirit the word of wisdom; to another the word of knowledge by the same Spirit;9To another faith by the same Spirit; to another the gifts of healing by the same Spirit; 10To another the working of miracles; to another prophecy; to another discerning of spirits; to another divers kinds of tongues; to another the interpretation of tongues: 11But all these worketh that one and the selfsame Spirit, dividing to every man severally as he will.12For as the body is one, and hath many members, and all the members of that one body, being many, are one body: so also is Christ. 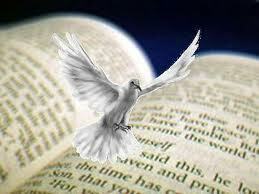 Acts 10:44While Peter yet spake these words, the Holy Ghost fell on all them whichheard the word. 45And they of the circumcision which believed were astonished, as many as came with Peter, because that on the Gentiles also was poured out the gift of the Holy Ghost. 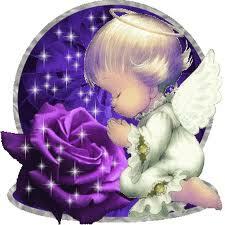 46For they heard them speak with tongues, and magnify God. Then answered Peter, 47Can any man forbid water, that these should not be baptized, which have received the Holy Ghost as well as we? The Apostle Peter was filled with the Spirit when Jesus breathed on him. 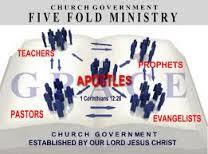 He was filled again on the Acts 2 Pentecost. After that, he was at a powerful prayer meeting where the whole house was shaken. John was ”in the Spirit” (as opposed to just a normal day when he would not be considered as being ”in the Spirit”) when he wrote the book of Revelation. Stephen was ”filled” when he saw Jesus at the right hand of God. Even though the Ephesians were already saved, Paul still tells them to be ”filled” with the Spirit. 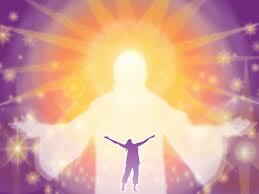 At the moment that someone prophecies he is filled with an extra anointing of the Holy Spirit for that occasion. ”Baptism” has a primary meaning which is ”to drench”, but the proper definition of the word ”baptizo” (”drenching”) is something that not all Christians receive. For instance, there are many Christians who have never been baptized in water yet they may be said to be ”baptized” in a more general sense. When Bible writers use the word ”baptism” to describe the Holy Spirit falling on someone causing him to speak in tongues, they are not speaking of ”baptism” in a vague sense; rather they are speaking of a Holy Spirit drenching that is a spiritual equivalent of a water-baptism. Why do people get so scared when it comes to speaking in tongues? Maybe because they have come across some of the material from people who have an agenda to scare people away from the Pentecostal churches and from the spiritual gifts. This might even inspire them to produce their own material and continue spreading the rumour that pentecostal churches are dangerous and filled with unruly people who speak with fake tongues which we would do well to keep away from. Why is this not slander? What if we would start a campaign where we claimed that MOST baptist churches are like the Westboro Baptist Church? A common denominator among those who fervently speak out against tongues (and others who have a negative attitude towards them) seems to be that they are not members of a charismatic church and possibly haven’t made many visits in one either (I know there are exceptions). There are some who spend their valuable time to produce video clips, audio clips and articles where they write warning upon warning about the misuse of tongues. Some of them are cessationists and some of them are ”just against the misuse” of tongues as they say. But in the latter category you will find some starting out saying ”I’m not a cessationist, BUT…” followed by several pages of warnings and examples of negative things about tongues. Why not doing the exact opposite? Why not start out saying ”I’m aware of that there is a misuse of tongues in some odd churches, BUT…” followed by page upon page with encouragement to speak in tongues, and with wonderful examples across the world where people have been much edified by them? If the idea isn’t to scare people away from speaking in tongues, and to run away from Pentecostal churches, then what do they think such scare-tactics material will do to people? Why not at least spend 50% of a video clip with encouragement to use the spiritual gifts? The risk is that viewers might believe the material and flee from tongues. This means that SATAN is the winner. People who produce this type of warning-material, and compare the practice of pentecostals with pagans, might feel they are doing a good deed among christians. Instead they are causing a DIVISION about something that is neither common nor dangerous. Why not give warnings about doctrines or traditions which could harm your soul? There are plenty to choose from. (But maybe the same people refrain from doing this to ”not cause a division”.) How ”dangerous” would it be if I stood up in an American church and spoke in Swedish? It would be irritating at worst, and I would be wasting people’s time, but dangerous? Hardly. You might say that people wouldn’t know if I spoke with ”demonic” tongues or not, but how many examples of ”demonic” tongues do we really know from the western world, and how many examples inside a CHURCH? (Do give me a source with valid examples because it would be interesting reading.) Anyone could stand up in a church and say a curse in another language (not necessarily in tongues) but this isn’t very likely, and of course everyone would notice a person who is disturbing the church service. Besides, a ”curse” wouldn’t make anyone lose his soul. 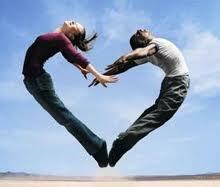 Satan can’t touch a christian’s heart unless the christian person opens up for him. I’m saying this to show that it wouldn’t be ”dangerous” to stand up speaking in tongues with no interpreter, but just dumb. By scaring christians away from the spiritual gifts, Satan robs them of the many benefits of speaking in tongues and the power of the holy spirit. So instead of helping christians, this anti-tongue material is causing much harm and is a GREAT aid for Satan to diminish our strength. Keep this in mind if you think you’re doing something good by producing and/or endorsing such material. You might hear cessationists say ”MOST pentecostal churches misuse the tongues” and ”the misuse of tongues is INCREASING” and ”it’s dangerous” but they of course have no sources or statistics to back up their claims. By doing false generalizations like this, and painting with a broad brush, they just want to build up a scenario where they try to show that their warning-material is much-needed. Instead the misuse of tongues might not be common at all, and only tied to a small group of infamous preachers and their supporters. I read on a thread on Facebook the other day: ”Having been originally taught as a Baptist, tongues were not talked about hardly at all” and someone else said ”As a Presbyterian growing up the Holy Spirit was never mentioned except in the doxology” and another person said ”I would ask him why would we not believe the Bible on the issue of spiritual gifts, and his excuse was because some had abused the gifts”. No wonder that the gifts of the holy spirit is absent in so many churches! People feel ”pressured” to speak in tongues in Pentecostal churches? One argument against the Pentecostal church that I’ve heard on several occasions, is that people might feel ”pressured” and even ”forced” to speak in tongues when they are in a Pentecostal church. I find this to be very strange considering that not all people inside the pentecostal church have this gift, which pentecostals are well aware of, and pentecostals are also aware of that you’re not supposed to speak in tongues with no interpreter. Do people feel bothered and pressured to speak in tongues because they overhear people who speak them? 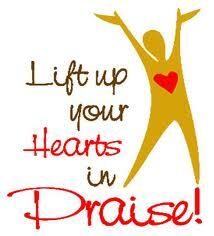 If my praise and worship to the Lord bothers someone else, then so be it. I shouldn’t have to feel pressured to reduce my time of praise in order to accommodate someone else. Naturally I shouldn’t be too loud, and I shouldn’t be disturbing the rest of the service by praising and praying in the wrong time. Not even misuse of tongues should have to cause a person to feel ”pressured” to speak in tongues, unless he enters a church where pretty much everyone babbled in unknown tongues. Still, he shouldn’t be judging all Pentecostal churches based on one where they misuse tongues. What if a person enters a church and finds the members there sing beautifully, unlike him? Should the church members try to sing less beautifully, or reduce their singing, in order to not make the visiting person feel bad?